Roberto Stabile BSc studies (Faculty of Biological Sciences and Techniques at the University of Trieste, Italy) focused on the mechanism of conventional chemotherapy resistance in ovarian cancer. Subsequently, he obtained his MSc in Pharmaceutical Biotechnologies at the University of Padova, Italy. 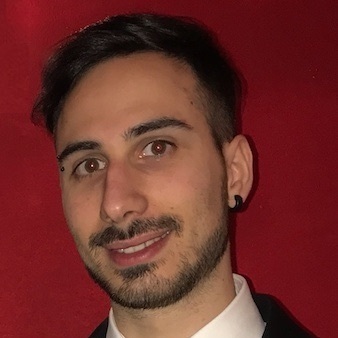 His master thesis was on the role of the gain of function mutation H1047R in PIK3CA gene in human colon cancer organoids..
Roberto will work as a PhD student in our laboratory on an intramural project (Mrace) entitled “Dr. Jekyll and Mr. Hide: phenotypic plasticity and epigenetic control of EMT in oral cancer metastasis”.